Why should I use Open Educational Resources? How do I know if something is an Open Educational Resource? Can I adapt an open textbook for my course? "Open Educational Resources are teaching, learning or research materials that are in the public domain or released with an intellectual property license that allows for free use, adaptation, and distribution." 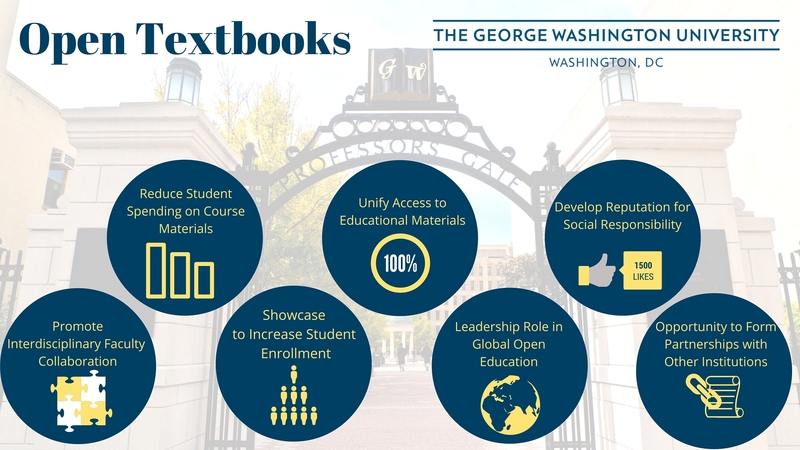 A guide from George Washington University the explains the benefits of OER. Many OER materials are licensed under a Creative Commons License. Creative Commons is an easy way to grant copyright permissions for others to use your creative work. Depending on the type of license used, you may be able to adapt an open textbook. Modifying an Open Textbook: What You Need to Know focuses on the technological aspects of editing open textbooks found in the Open Textbook Library or elsewhere, and will help you assess the effort, expertise, and technical tools needed. In addition, this guide includes step-by-step instructions for importing and editing common open textbook file and platform types. Finally, this guide provides a basic overview of accessibility considerations and general guidance on where to find additional help.